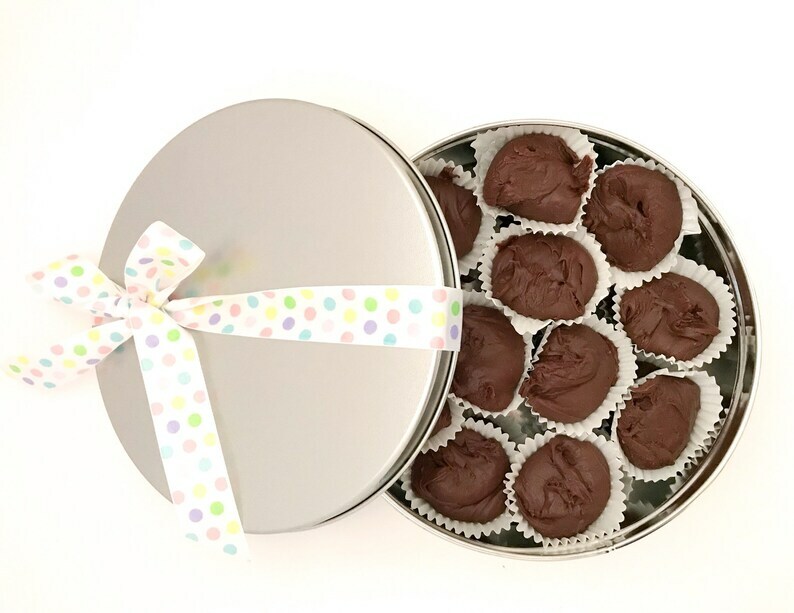 Enjoy a fresh, spring tin full of chocolate fudge to bring a smile to their faces on Easter morning. Our rich Chocolate Fudge is made from scratch when you place your order. You'll love our velvety smooth semisweet chocolate fudge cups. We use only the finest ingredients and make all our products by hand in small batches. Our fudge comes carefully packaged in a silver tin. The perfect gift for someone special or to treat yourself! Approx. 24 Fudge Cups (about 21 oz) in 7 1/2” diameter tin.